Big rig trucks are a major part of making our modern society function. However, trucks large and small pose a risk on the road and to drivers and pedestrians. Many truck drivers are well trained and have significant experience, while others are dogged by fatigue or other issues. No matter what the cause, truck accidents can cause severe injury or death. Whenever involved in a truck accident, the need for medical and legal assistance is obvious. There are many types of truck accidents, with varying levels of fault or liability for the truck driver. The operator of the vehicle may have been involved in the accident due to many causes, including fatigue, lack of training, weather conditions, or faulty mechanical parts. Whatever the cause, it is important to determine the level of liability incurred by the other party. 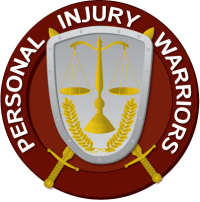 Many of the members of the Personal Injury Warriors International, specialize in truck accidents and personal injury cases. We are able to arrange many elements in the aftermath of such an accident, from medical coverage to liability to dealing with insurance companies. We are able to work with qualified doctors to find you the appropriate medical coverage, even if you do not have health insurance. We are able to negotiate or play hardball with your or the other party’s insurance company to get the coverage you deserve. We can come to you if you are in the hospital or at home recovering to build your case and portfolio of evidence. Our selection of experienced member attorneys stand out in Southern California, all the way to Clearwater Florida, in between, and across the Atlantic. We select members who have shown they are able to operate mainly from experience, collectively handling thousands of similar cases and recovering millions for their clients. They are able to organize accident reconstructionists to determine the level of liability that the truck operator or company has assumed in the accident. They are able to front many costs if needed to get you the medical care or investigative tools needed to win your case. And of course most pi lawyers operate on contingency– they don’t get a cent unless you recover. Contact one here today for more information or to speak to one of our expert lawyer members.